To schedule an author talk, book signing, or presentation about the Northern Forest Canoe Trail, please contact Laurie at lmtchandler@yahoo.com. Forty-minute slideshow and stories from the author’s summer 2015 trip along the 740-mile NFCT, followed by a book signing. The New England Paddlesports Show is sponsored by Kittery Trading Post. Stories and photos from the author’s summer 2015 solo NFCT thru-paddle. See event schedule for seminar location. This large show features tax-free shopping and a variety of informational and instructional seminars and pool demonstrations. This celebration of spring in the north woods will feature musicians from near and far, local artisans, craftsmen, food vendors, and at least one Maine author. Stop by to share some canoe adventure stories and pick up a signed copy of Upwards. Join me for a fun afternoon talking paddling, and pick up a signed copy of Upwards. Author talk and Q&A, with stories and photos about Laurie’s 53-day journey at age 53 and the book that followed. 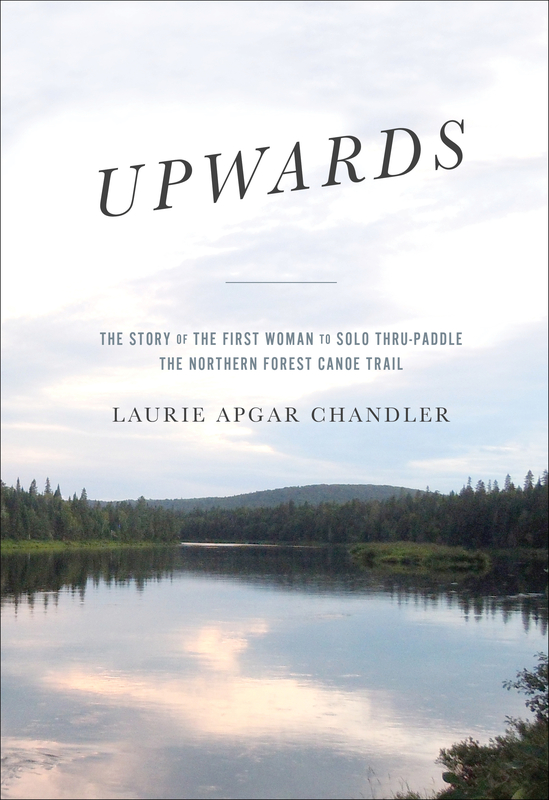 Laurie will sign copies of Upwards after her talk. One of Maine’s most popular annual literary events. Dozens of authors from around the state will attend to sign their books, discuss their writing, and meet their fans. The evening will begin with a social at 6:30 p.m., followed by a brief business meeting at 7 p.m., then the author’s 45-minute presentation with Q&A and a book signing following.